The Tiltall Heavy Duty TCH-404 Carbon Series Tripod is a mid-weight carbon fiber tripod designed for use in both the field and studio. 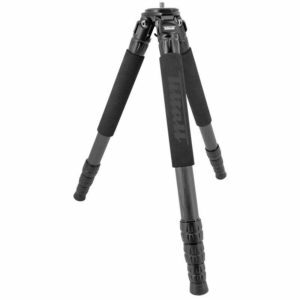 Constructed carbon fiber weave, the TCH-404 weighs in at 6.2 lb and can safely support up to 55 lbs. 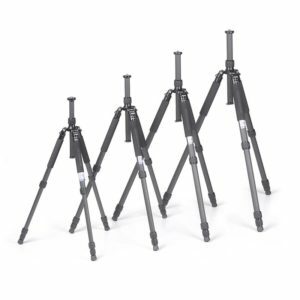 It’s 4-section leg design allows the tripod to extend to a maximum height of 61.8″ and lower down to a minimum working height of just 4″. Quick set-up and break-down is facilitated by easy-to-use twist locks, which require just a quarter rotation to unlock and re-lock each leg section. 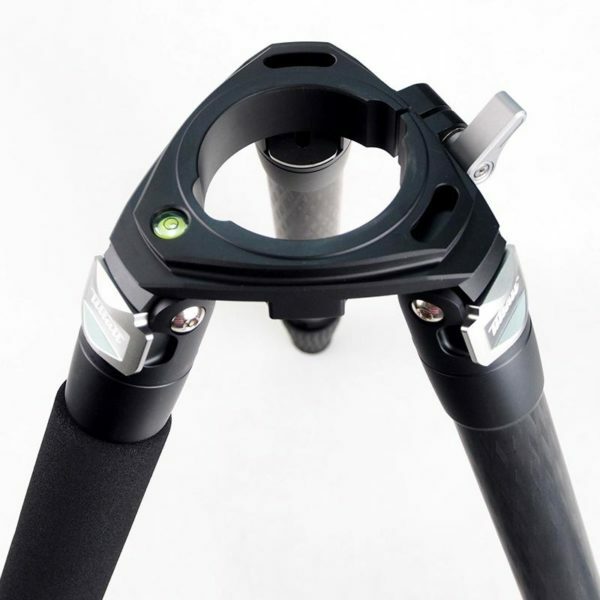 This design also helps to maintain the tripod’s slim folded silhouette. 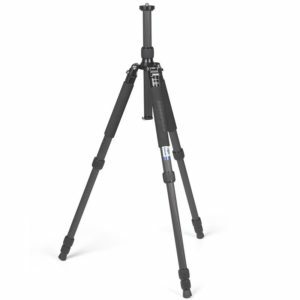 Additionally, when traveling with or storing the tripod, the entire support can fold down to just 23.2″ in length, small enough to travel or hike with. In the muddy and sinister environment, stainless steel feet and Powder baskets have a more stable grip! 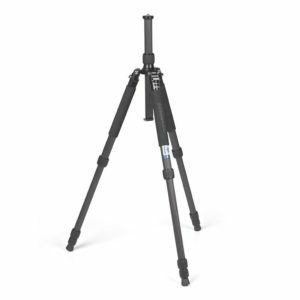 Sturdy tripod without center column. Suitable for high loads. 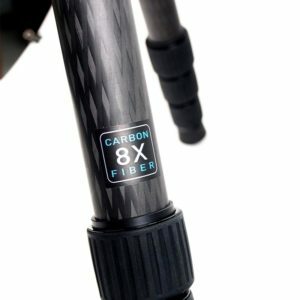 Tripod legs made of eight-layer carbon provide for high vibration absorption. 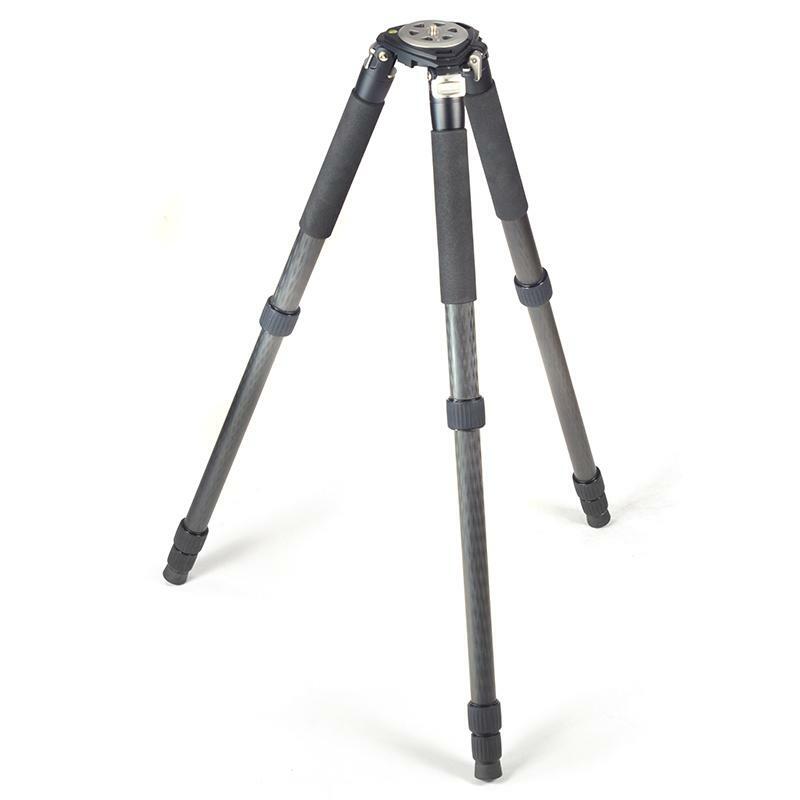 Especially suitable for photo and video shots with telephoto lenses and for the use with spotting scopes. 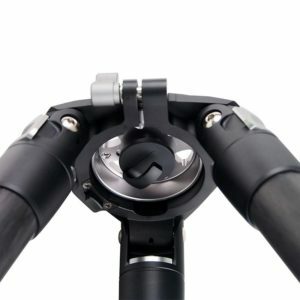 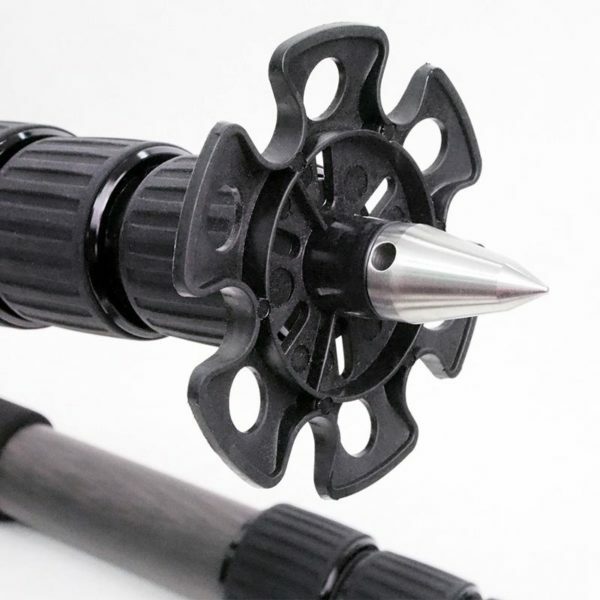 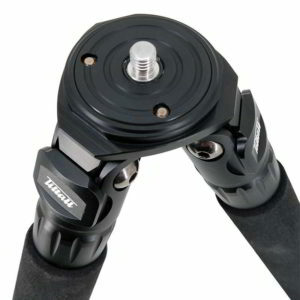 Four-section tripod legs with anti-twist protection and twist locks for fast and easy operation. 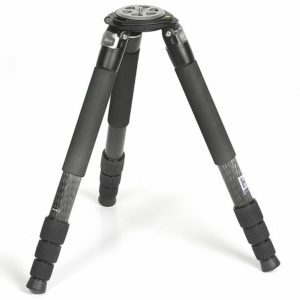 Spread angle of legs can be individually adjusted and locked in three positions. Rubber feet, can be replaced with metal spikes (included) made from stainless steel. Powder baskets (also included) prevent from sinking on bad ground. All tripod legs have leg warmers made of foam layers covering the top section. 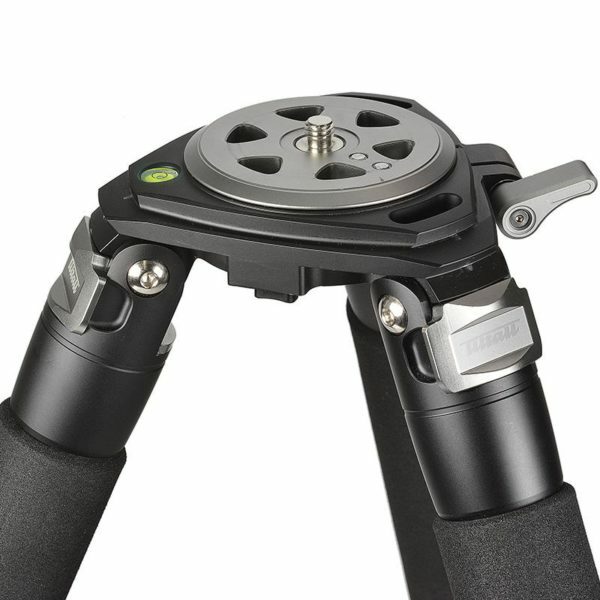 Mounting plate with 3/8“ connecting thread, two set screws for securing a ball head or a video head, spirit level and weight hook. 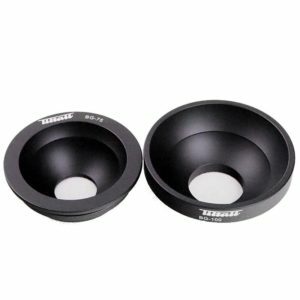 The mounting plate can be replaced by a leveling bowl adapter (available as an accessory) for holding a leveling half ball allowing for a convenient and quick horizontal alignment. 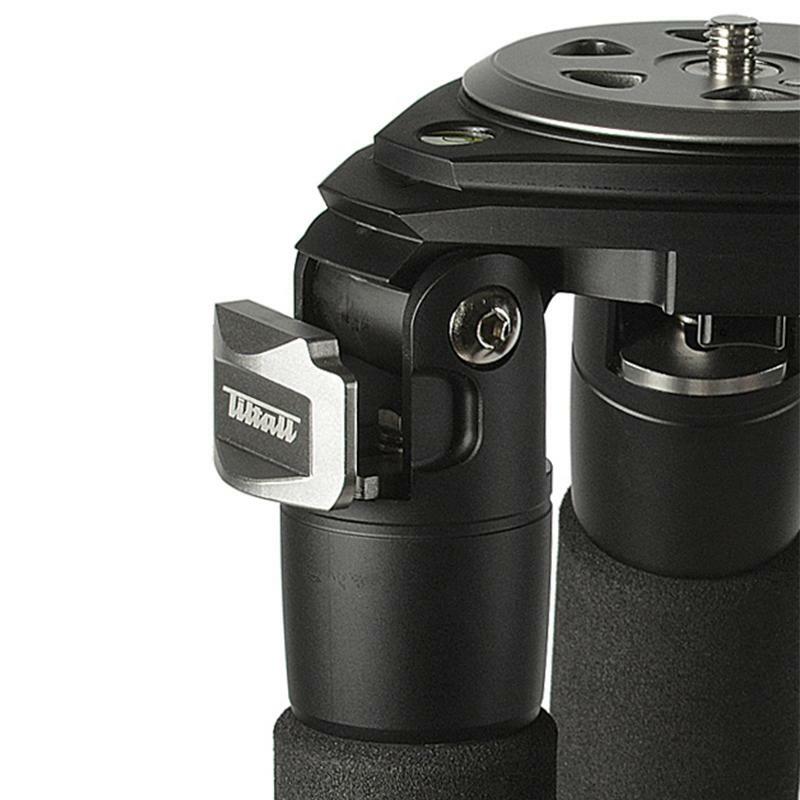 Now on uneven ground or when changing the shooting position, an exact length adjustment of the tripod legs is dispensable. 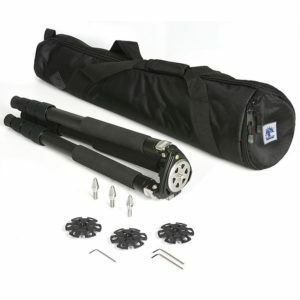 Padded carrying case with adjustable shoulder strap and carry handle.